The intentions were clear. Get the participants to build something tangible using Web technologies by the time they leave the camp. Every event has its own share of hiccups. Murphy’s laws are not just theory, and this event had its own share of technical glitches. But what was really good to see was the way the volunteers gelled together to overcome this. 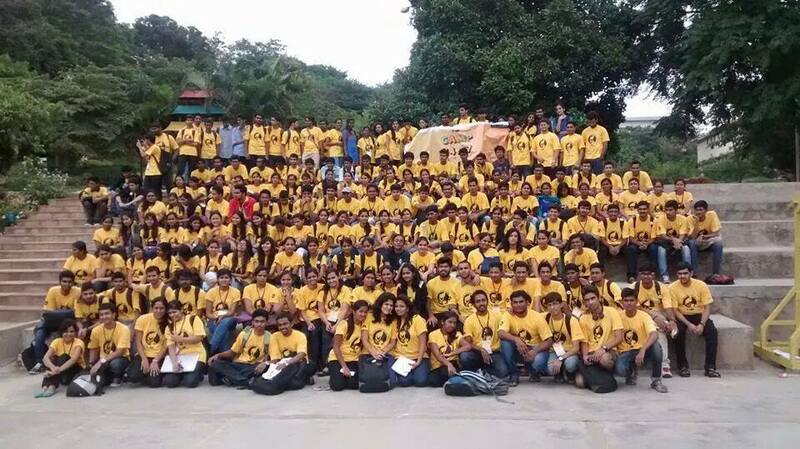 And the motivation levels of the participants was mind-blowing. The audience size – We were anxious about the challenges in training 185 students in parallel with just one primary trainer. So we prepared ourselves by getting our whole technical team involved in this. All the engineers were told about the challenges and we asked them to disperse into the crowd and make sure they give their best in providing personal attention. Covering the content on time – Considering that there was quite a bit to be covered in 1.5 days, it was always challenging to address individual needs and also to cover the content in the stipulated time. The co-ordination of the volunteers and team Jnaapti went great ways in making sure we didn’t face any issues. The FSMK team was very co-operative and trusted in our decisions to execute the training according to what we felt was more effective. 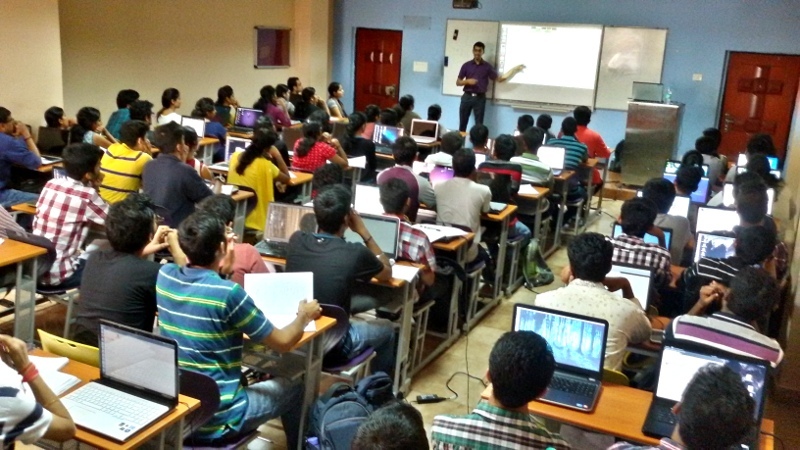 Afternoon sessions – We know that having about 90 people in a room immediately post lunch and taking them through a theory session is a challenge in itself, but what pleasantly surprised us was that even the students in the last benches were keenly listening and noting down things and were interacting with us. This most resourceful session was taken by Jnaapti’s founder Mr. Gautham Pai. He was probably the most efficient guide than anyone else in the entire camp. He also gave everyone good set of tips that is required to enter the IT space. Unfortunately, we couldn’t be a part of the whole event this time. 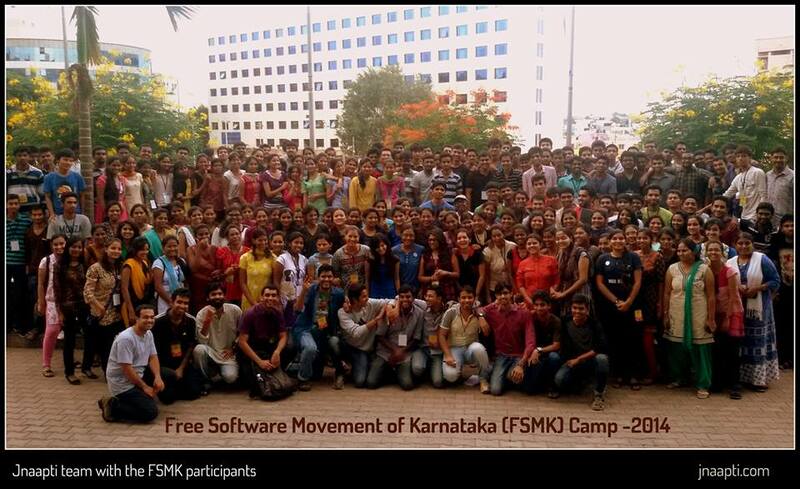 We wish the FSMK team all the very best and would be happy to be associated with more events in future!